I listen to a lot of music and sometimes use ear buds in order to listen to music while on the go. The number one problem that I have encountered with ear buds is that the cord often gets tangled. 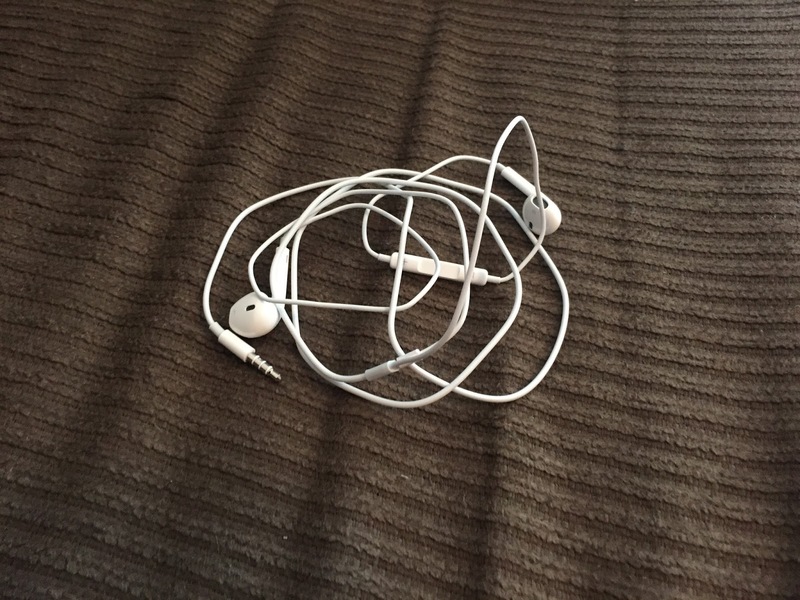 Whether they get tangled from putting the ear buds in my pocket, my purse or on the table, it was pretty unavoidable. I recently received a product for review called Cordskinz that has eliminated cord tangles with my ear buds. 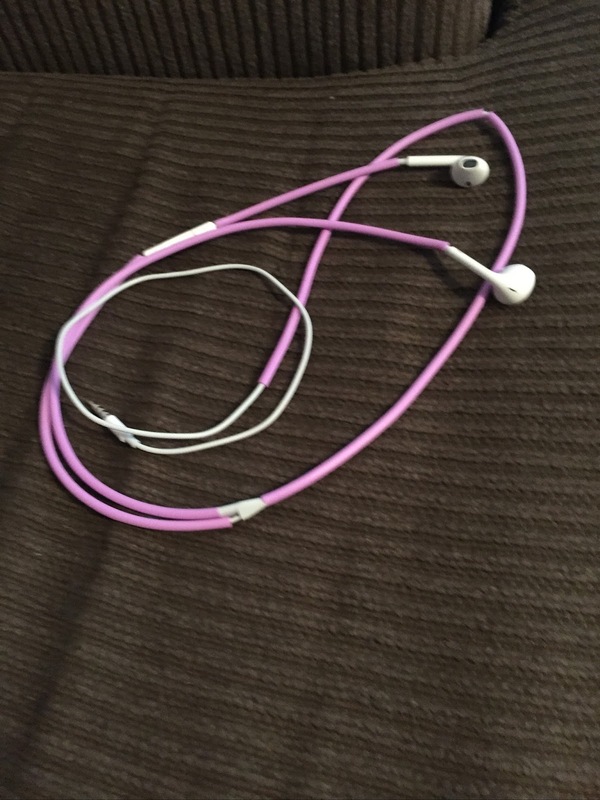 Cordskinz are a functional and fashionable way to keep ear bud cords tangle free. I received 2 pair of Cordskinz. One in a lavender and one in a pink. 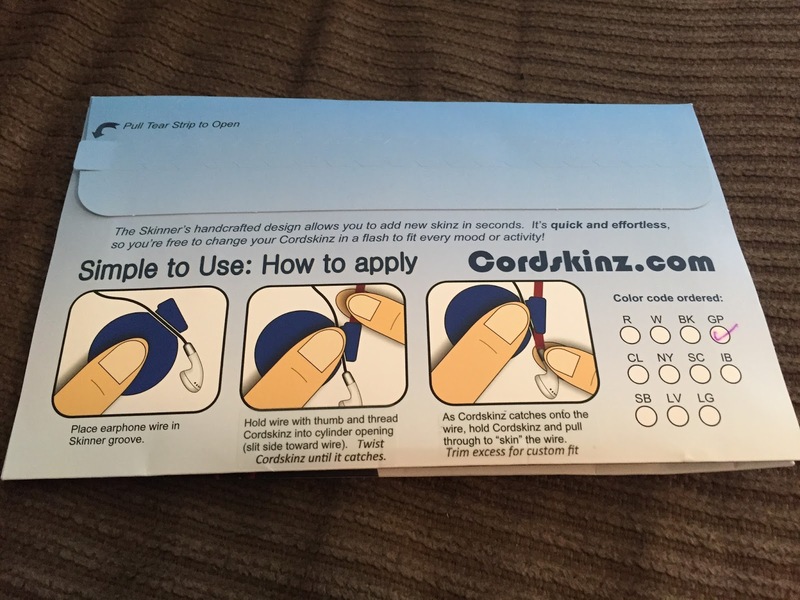 Each order of Cordskinz comes with 2 pair and a skinner tool. The tool is essential in order to get the Cordskinz on your ear buds. It was very easy to apply a Cordskinz onto a pair of ear buds. 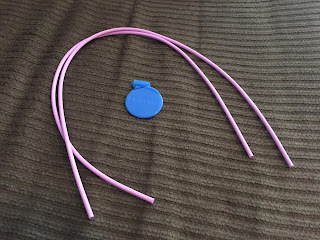 You simply put the ear bud cord into the groove on the skinner tool, hold it into place with your finger and thread the Cordskinz through the hole. 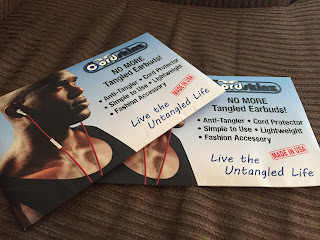 By doing so, you are easily able to thread the ear bud cord into the Cordskinz. The ear buds that I used are the ear buds that come with the iPhone 6. I did have to cut the Cordskinz a couple of times in order to get them to fit around the volume/mic portion of the cord and around another portion. 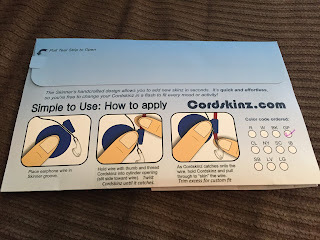 I then just followed the same steps for threading with the smaller portions of Cordskinz. Not only are Cordskinz fashionable and a nice change of pace to the standard Apple iPhone 6 white ear buds, they have been extremely functional. I can place my ear buds into my pocket or purse and I do not have any more tangles! 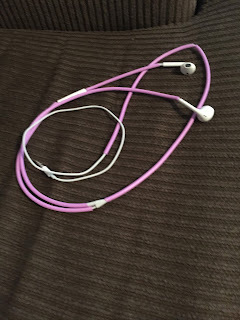 I would highly recommend Cordskinz if you are looking for an easy and affordable way to decorate plain ear bud cords and looking for something that will keep ear buds from becoming tangled. You can purchase Cordskinz at their website. You get 2 pair and the skinner tool for $9.99.